Amazon is throwing the third annual Prime Day sale on Tuesday, July 11. Amazon Prime Day is one of the most hyped internet sale days of the year and for good reason: many sellers on Amazon cut prices on their products for one-day-only deals you'll want to keep up on throughout the day. These deals will be available to Prime members so you'll definitely want to secure an Amazon Prime account (or at least a trial) before the sales start at 9PM ET/6PM PT July 11. Let's get into some of the Amazon Prime Day deals we're most excited for this year. Amazon Prime Day Best DealsAmazon Products: Amazon products such as Amazon Alexa, Echo, Fire Tablets, TV Sticks and Kindles should all see the largest cuts of any products on Amazon. Last year, the Kindle was on sale up to $30 on select models and the Fire Tablet had offers up to $60 off, to name a few. We expect much of the same this year! Check into Amazon Prime Day for deals on Amazon products first and foremost. Clothes: Popular electronics like smartphones, laptops and Apple products don't really see sales that make buying on Prime Day worth it. However, for non-electronic items such as clothing and sneakers, the deals couldn't be any better. If you're looking to fill out your closet for the rest of the summer or even get a leg up and start preparing for winter, we highly recommend shopping for clothes on Amazon Prime Day. Gaming: Gaming is one exception to the rule of no electronics on Amazon Prime Day. We expect to see gaming bundles and previous generation consoles, games and accessories to see huge cuts in price. Accessories: Accessories like smart phone cases, hats and sunglasses will all also see nice, inviting discounts on Amazon Prime Day next Tuesday. Books: Remember back when Amazon was just a bookstore? Seems like ages ago! Today, Amazon is the largest online retailer in the world of more than just books. But they didn't forget their roots! This Sunday, July 9, the Amazon bookstore will have a special Prime Day sale, a perfect time to stock up on new titles to enjoy for an extra low price.Amazon Prime Day Lightning DealsAnother popular deal to track on Amazon Prime Day are the super quick and super cheap Amazon Lightning Deals. These deals can change as often as every 5 minutes, staying up only as long as stock is available. And let us tell you, these items FLY off the shelves. Be prepared for a little frustration here... but if you do manage to get something you really want via the Amazon Prime Day Lightning Deals section, you're going to be one happy camper. Amazon Prime Day only comes once a year, so take advantage folks! 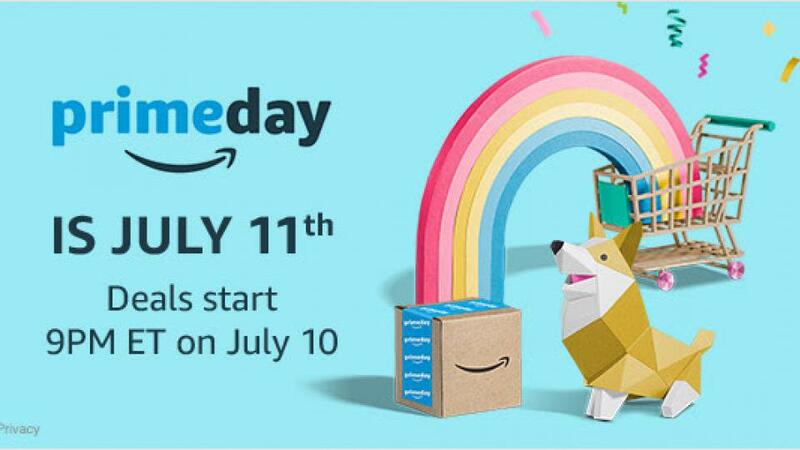 Be sure to check into Amazon in the days leading up to July 11th for special Prime Day deals on things like books (mentioned above), music, videos and more. The opportunities for saving via Amazon are almost endless this week.